Filters are one of the less sophisticated features Snapchat sports, but it is by far the most popular. The advances they've made with Stories, Discover and their forays into augmented reality have been impressive, but they've done little to increase their growth rate. Filters, on the other hand, are only getting more popular, and how do you ride that wave? Simple, tie them in with familiar intellectual property; in this case, Pokemon. 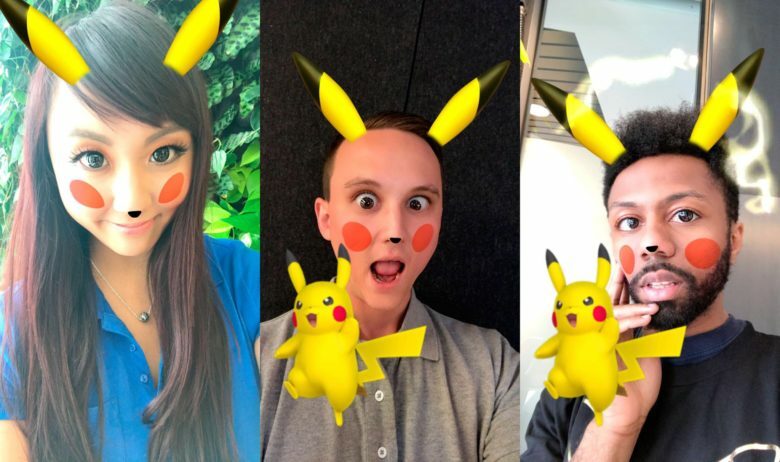 They've added a filter which turns users into a kind of human/Pikachu hybrid, sporting the pointy ears and red, electrified cheeks of the iconic creature. If you move your head or open you mouth, he appears on screen and shoots out a blast of lightning. Putting aside the fact that that would hurt like hell, it's a cute addition, and an ideal swing for Snapchat's target market, who are almost all provably Pokemon-crazy. Pokemon is one of the most lucrative franchises in history, from video games to toys to TV to the most recent success story - Pokemon Go. It's unlikely that one filter will bring in a tidal wave of new Snapchat users, but it's certain to get the current user base worked up into a frenzy, especially considering that it's only out on a limited run. It's probable that most users will use the time to create a broad spread of different selfies which they can break out in virtually any situation. Well, any situation where it seems appropriate to make yourself look like an electric mouse. Depending on how well this plays, it may well not be the last time Pokemon makes an appearance on the platform. The filter represents a partnership between Snap and The Pokemon Company, so it would be odd if they only brought out one limited filter. Will more of the original 150 get the same treatment, or are the two companies planning something more ambitious down the line? Either way, it's a smart play by Snap, sad as it is, this is the kind of thing that will help them stay above water.